Cincinnati Children's Kenwood offers Magnetic Resonance Imaging (MRI) services to include a state-of-the-art scanner. And because we know you're busy, we work hard to save you time by providing flexible hours, convenient on-site parking and short wait times. To make an appointment for an MRI at our Kenwood, Burnet Campus, or Liberty Campus, call 513-636-3200. 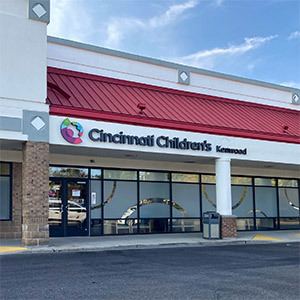 Cincinnati Children's uses high field MRI units to produce the highest image quality and provide the clearest and most detailed images possible. A pediatric radiologist at Cincinnati Children's will view and interpret the MRI scan. Your physician will receive the results within 36 hours.